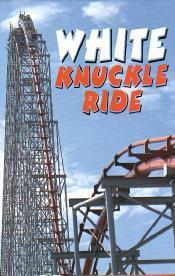 White Knuckle Ride is the illustrated guide to the world's biggest and best roller coaster and thrill rides. Gain admission to the amusement parks of the world, and hold on tight to experience the greatest thrills of all! This book is a guide to the finest of today's scream machines, in the USA, Europe, Mexico, Canada and Japan, presented in over 180 spectacular photographs.